Apple Music is currently one of the best options available for an on-demand streaming music service. This service has continued to build a rich feature set, which attracts a healthy amount of users and makes this service a strong contender in its category. However, there are still some annoying limits. -- Subscribers can get unlimited access to over 40 million songs and your entire music library—totally ad-free. -- It works seamlessly with your iTunes library to give your personal music collection a major upgrade. -- Create your personal playlists, or listen to mixes Apple Music creates based on what you’ve been listening to. -- Watch exclusive content, like documentaries about your favorite artists, concert films, and original TV shows. -- Hear your favorite artists and DJs on Beats 1, the 24/7, worldwide streaming station, live or on demand. -- It's priced at $9.99 a month or $14.99 for a family plan, and there's a free three-month trial available. 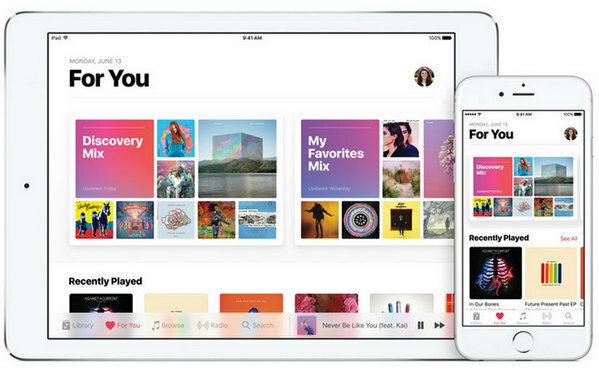 -- Any streaming music you've added to your library from the Apple Music catalog will no longer be playable after cancelling Apple Music membership. -- Lock all its music with Apple FariPlay DRM. -- Can't access your library from a Web browser. -- Only available on Apple devices and Android phone. We've cataloged both advantages and disadvantages of Apple Music. Undoubtedly, Apple Music is a powerful platform with tremendous potential in the music streaming world. With it, you have virtually unlimited access to the tens of millions of songs in iTunes for just $10/month. Combine that with tight integration with the iPhone and the ability to keep using your existing music library and that’s really compelling. But the bad limits of this great service also cannot be ignored: not available on many devices, such as PS4, MP3 Player, and can't access to the downloaded music after cancelling subscription. 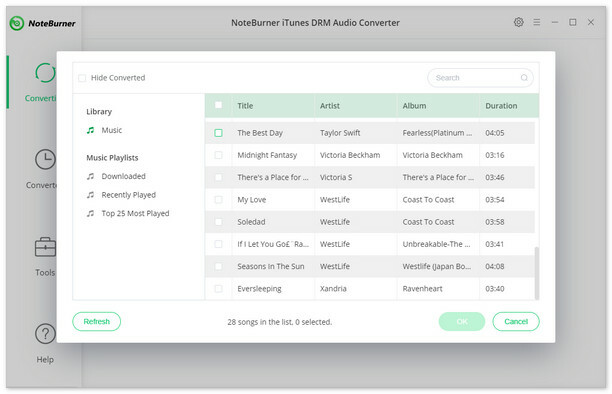 If you want to play Apple Music songs without any limits, NoteBurner Apple Music Converter is the indispensable tool for you. 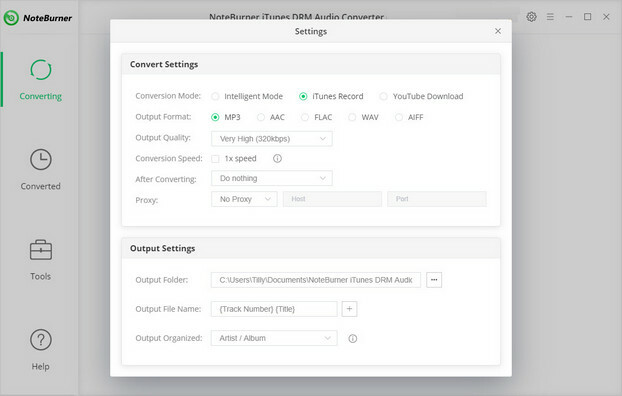 NoteBurner Apple Music Converter, developed by NoteBurner Inc, is a professional Apple Music Converter, which will help you legally remove DRM limitation from Apple Music songs and playlists and convert Apple Music files, audiobooks, or other downloaded music from iTunes or Apple Music to MP3, FLAC, AAC or WAV format at 10X faster speed with keeping lossless audio quality. Thus, you can remove all the limts from Apple Music songs and play them on any devices freely. The following is the detailed tutorial to guide you to remove DRM from Apple Music and convert Apple Music to MP3. Please download NoteBurner Apple Music Converter first before getting started. Download and install NoteBurner Apple Music Converter. After it, please launch the software. Click the button "+" to add music, it will pop up a window, which will show you all of songs you have downloaded from iTunes. You can choose any song you want to convert. 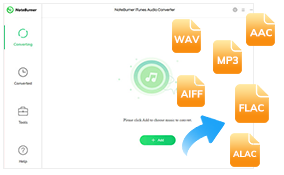 After the successful adding, please click the button "Setting" to choose the output format as you need, in the pop-up window, you can set output path, output quality, and output format including WAV, AAC, MP3, and FLAC. After completing the above steps, the final one is clicking the button "Convert". Just a few second, it will succeed. After converting, the output folder will be open automatically. Or you can click the History button on the top-right interface to find the converted music. Now all of Apple Music songs are free from DRM, you can sync them to any of your devices for enjoying.